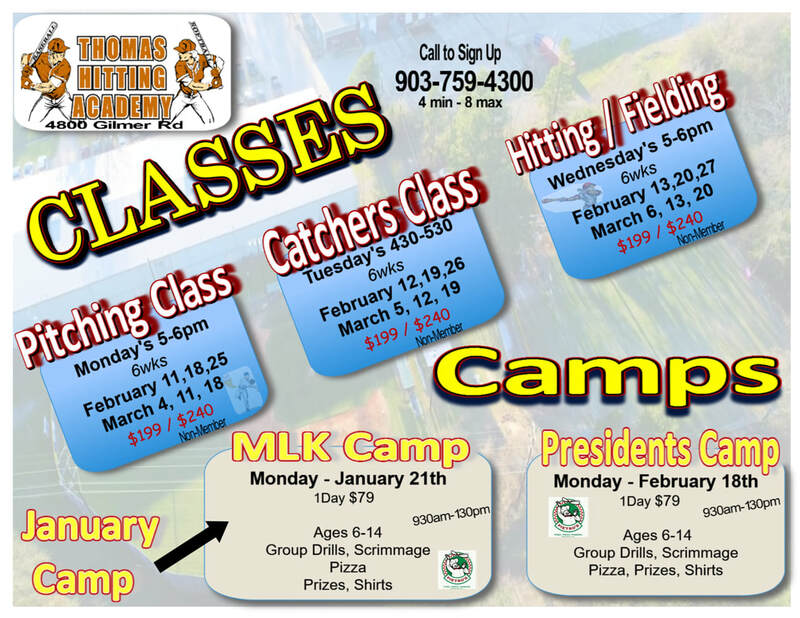 With instruction from former professional players and experienced trainers and small class sizes of 3-6 students, the hour long classes at Thomas Hitting Academy offer the best value for your baseball training dollar in East Texas. Classes meet weekly and are skill specific. Please call or come by to schedule your spot. Space is limited! All participants must complete the participation waiver form. ​You can email to thomasp24@cs.com to save more time.